There is the ancient pilgrimage circuit called the Chaar Dhaam Yatra of Lord Vishnu that is mentioned in Sanskrit texts like the Mahabharata. This yatra takes the pilgrim to Badrinath, Dwarka, Puri and Rameswaram and it is called Mahaparikrama as pilgrims go on a long journey covering the Indian subcontinent. Later another shorter Chaar Dhaam Yatra has gained in sanctity around the holy sites located in the upper reagions eastern Himalayas of the state of Uttarakhand. These are Badrinath, Kedarnath, Gangotri and Yamunotri. These four Himalayan dhaams are however, not all sacred to Vishnu. Badrinath that is also counted in the older Chaar Dhaam Yatra is a Vishnu pilgrimage. Kedarnath is sacred to Lord Shiva and Gangotri and Yamunotri are located at the source of two sacred rivers, the Ganga and Yamuna. Daiwik Hotels welcomes you to his yatra that is popularly called Chhota Chaar Dhaam. This yatra is really a celebration of the Himalayas that is traditionally called Devabhoomi, or the land of the gods. 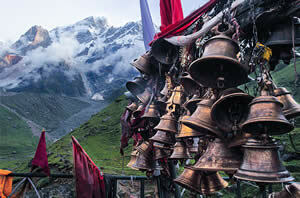 Since time immemorial the pilgrim trail has led the devotee to the Himalayas. They have trekked up the narrow hill tracks, bathed in the icy rivers and faced the dangers of the snow, avalanches and the wild forests. They have trekked up to the shrine to Shiva at Kedarnath, to Vishnu at Badrinath and then along dangerous glaciers to the source of the Ganga and Yamuna rivers. At each of these sites there are ancient temples that are open only during the summer seasons and close once the snows block the roads. As the region often faces natural disasters like floods, earthquakes, heavy snow fall and avalanches, all the temples are small simple structures built of heavy blocks of stone. Ice capped mountains, tumultuous rivers, serene lakes, pine forests and waterfalls have all created a landscape that attracts the spiritual seeker and the adventurer. So this region has seen the presence of pilgrims, philosophers and ascetics for thousands of years. From rishis like Gautama, Kapila and Kashyapa to the Adi Shankaracharya and Ramanujacharya of the Hindus to the Sikh Guru Gobind Singh; they have all hiked along these narrow hill tracks, prayed to the sun and meditated by the rivers and lakes. 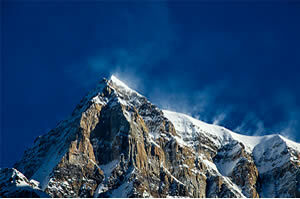 Kedarnath, Gangotri and Yamunotri are all located in the Garhwal hills in the state of Uttarakhand. The Shiva temple at Kedarnath stands in a valley at the edge of the glacier that is the source of the Ganga, surrounded by snow capped mountains with the Mandakini River flowing past it. 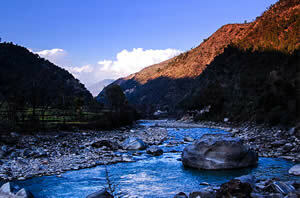 The Mandakini is one of the main tributaries of the Ganga. 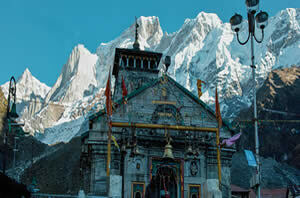 Kedarnath is among the highest temples in India and stands at a height of 3500 metres above sea level. We have always described the Himalayas devabhoomi or a heaven on earth with its majestic landscape of mountains, lakes and rivers. It is said to have the mythical Mount Meru around which our gods and goddesses live and Lord Indra holds his celestial court. The goddess Parvati is the daughter of the Himalayas and she and Lord Shiva dwell at Mount Kailash, near Lake Mansarovar. Lord Vishnu’s abode is said to be the golden valley called Vaikuntha. For us our rivers are living deities, each one is worshipped as a goddess. Just as spiritually significant is the fact that this is where many of our greatest rivers rise and we see them as sacred waters. The holiest of them all is the Ganga emerging from a cave at the edge of a glacier at Gaumukh. 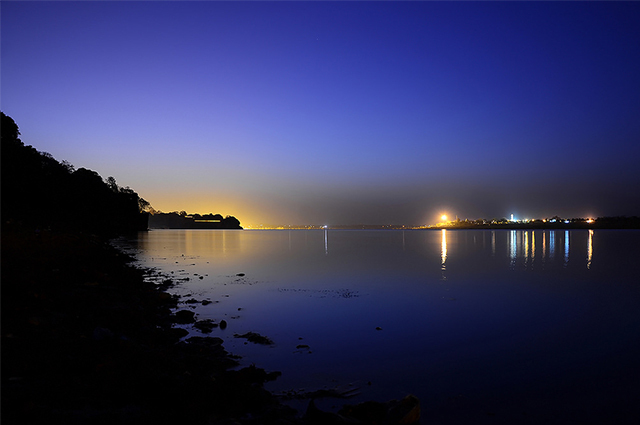 Then there are mighty rivers like Indus, Brahmaputra, Yamuna and the three streams of Alakananda, Mandakini and Bhagirathi that combine to form the Ganga that appears at Haridwar. In Hinduism temples are often built at places that are set in a beautiful landscape and no place on earth is so perfectly suited for the spiritual traveller as temples that have been built next to lakes, by the banks of rivers and in valleys surrounded by hills. Somehow in devabhoomi the gods seem very near and present in the atmosphere, all ready to listen to your prayers. Before it appears on the plains at Haridwar there are five prayags or confluence of rivers and stream until it becomes the mighty expanse of water at Haridwar that we call Ganga. Then it flows across the northern Gangetic plains to finally enter the Bay of Bengal at Gangasagar in West Bengal. These prayags are considered to be sacred and all of them have their own temples and mythology. These are Dev Prayag, Rudra Prayag, Karnaprayag, Nand Prayay and Vishnu Prayag. When pilgrims start their journey up the hills from Haridwar, many visit the Panch Prayag before heading for Badrinath or Kedarnath.